Is everyone around you coughing and sneezing? Are you worried that you're going to catch whatever they've got, or maybe you've already caught it? 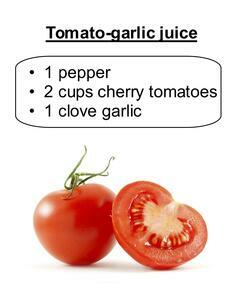 Here are three immune-boosting juice recipes featuring some very unique ingredients. Onions, garlic, potatoes - not exactly the first ingredients that come to mind when you think of juicing. But these humble ingredients are actually strong natural medicines when used properly. You wouldn't want to drink the pure juice of any of these, so we have three recipes to make them much more palatable without reducing their effectiveness. Onion juice is strong medicine, so don't overdo it. 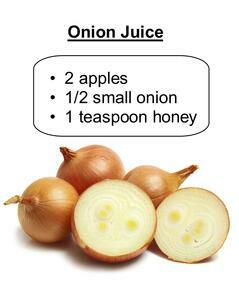 One teaspoon of onion juice per day is enough to boost your immune system. It's also great against coughing. Make sure to add the honey after you've juiced the other ingredients. Garlic is not only anti-bacterial, but anti-viral as well. This means it is one of the strongest natural remedies against colds, and can even shorten the duration of a cold. If you're worried about garlic breath, add some parsley to the recipe. It helps reduce the strong odor. Juice from raw potatoes strengthens the immune system. Just make sure not to use green potatoes, even if there is just a little bit of green. Potato juice is very powerful, so don't drink it more than once a week. There is no need to peel the potato - just scrub the skin and remove any dirt. 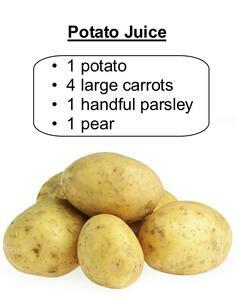 It's possible to drink potato juice staight, but it goes down much easier with this recipe.